The story follows the adventures of a postknight — a knight who is tasked with difficult or dangerous deliveries — in the grand kingdom of Kurestal. Through deliveries, the postknight will meet other characters with different backgrounds while venturing across the kingdom of Kurestal and beyond. 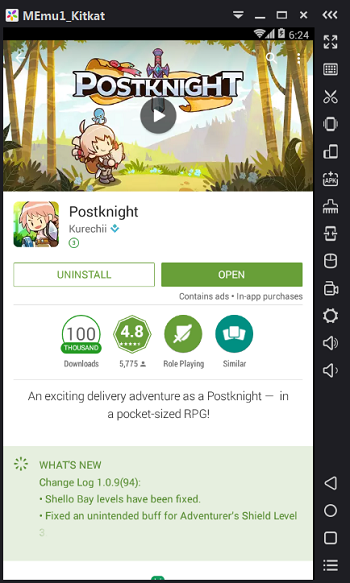 Suggest you to install postknight from Google play store in MEmu Android 4.4, then you can enjoy it on your PC as well. Players start off as rookie Postknights and climb their way up the ranks by fulfilling quests and fetching different kinds of stuff to all the townsfolk. But being a Postknight isn’t just about delivering packages; it’s about getting them from point A and ultimately to the hands of their rightful receivers — through hordes of bandits and monsters. With its very simple controls, all Postknights have to do is to hack-n-slash their way through while also defending themselves from hard hits and recuperating their health along the way. 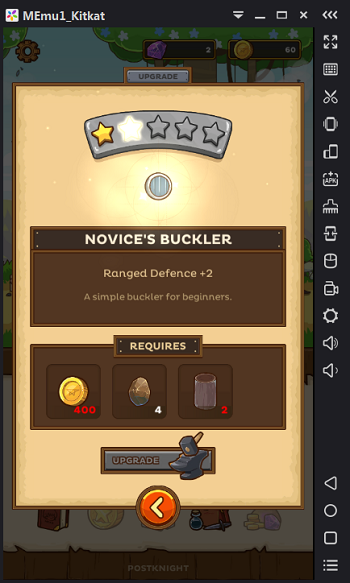 Postknights also level up, can hone their stats, and gain new skills. They can also craft weapons and armors which give Postknights an edge against the enemies, especially when donning full sets. 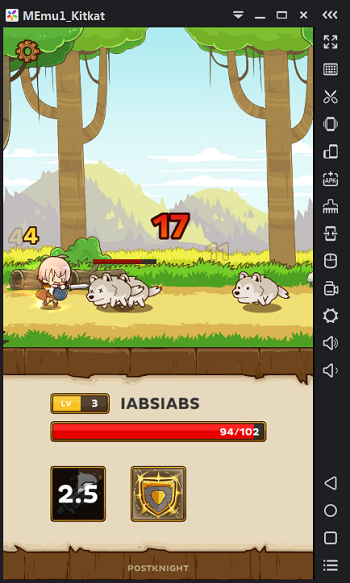 Materials for crafting are gained from enemy drops and quest loots.